Jodi's Nail Spa carries the first hybrid nail color created by CND after nearly five years of development in its state-of-the-art laboratory. Now you can say good-bye to chips, smudges, and dry time and say hello to Shellac™ Hybrid Nail Color! This revolutionary product applies like polish, wears flawlessly for 14 days of high gloss shine, and is removed in minutes. 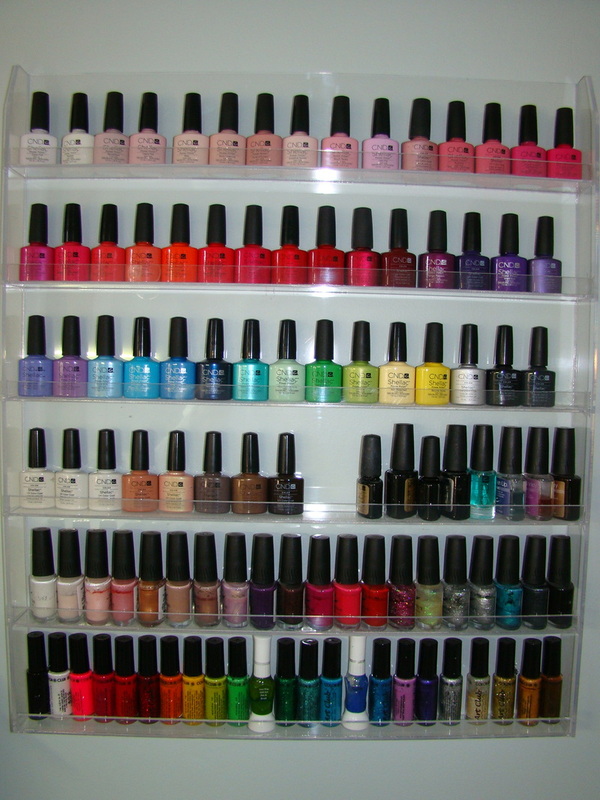 Shellac paints on like polish – base coat, color, top coat – and is cured in a UV light so there is zero dry time. Shellac also doesn't require ANY filing or buffing of the natural safe, so Shellac is even safe for children. The colors are hypo-allergenic, and “3-Free” – no formaldehyde, toluene or DBP. 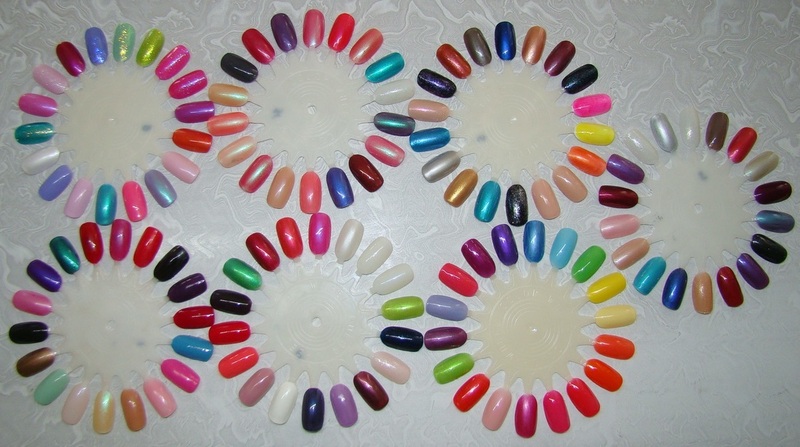 Shellac launched in a range of 12 varieties of shades, from pretty French pinks and whites, to siren red and rich darks. There is now another 12 colours to choose from, and the colours can be layered to create even more possibilities. The formula is thin and flexible like polish, so it not only looks natural, it provides strong natural nail protection with a resilient mirror finish that resists dullness and chipping, even during the most rigorous activities. As amazing as Shellac is on, removal is just as satisfying! No soaking, drilling or filing is necessary. Ten minutes of removal time in exchange for two weeks of perfect color is all it takes. Say good-bye to manicure frustration and hello to pure manicure satisfaction. Some of my shellac colours to choose from. Shellac can be layered to create more choices! b. Fold the cotton pad over the top of the nail. c. Wrap the long tab around the finger, ensuring a snug fit. d. Secure wrap with the adhesive tab. 2. Leave the Shellac Remover Wrap on the finger for ten minutes. 3. Securely grip each finger and apply slight pressure to the fingernail. 4. Using a twisting motion, pull the Shellac Remover Wrap and product from the fingernail. If a significant amount of Shellac remains on the nail (due to extended wear or other unique situations), rewrap the nail and allow acetone to penetrate a few more minutes. 5. If necessary, gently slide off any remaining product with an orangewood stick (or use a fingernail). Be careful not to scrape away the surface layers of the natural nail plate. 6. Rub the nail with a cotton ball soaked with acetone to remove any product residue.